BTR-3DA is a new-generation armoured personal carrier designed to serve the needs of armed forces and National Guard of Ukraine. Credit: UkrOboronProm. The vehicle can carry a maximum of nine personnel, including three crew members and six infantry troops. Credit: UkrOboronProm. The vehicle has a maximum speed of 104km/h and can reach a distance of up to 600km without any mid-way supplies. Credit: VoidWanderer. BTR-3DA is an 8×8 armoured personnel carrier (APC) developed by Kharkiv Morozov Machine Building Design Bureau, a subsidiary of UkrOboronProm. 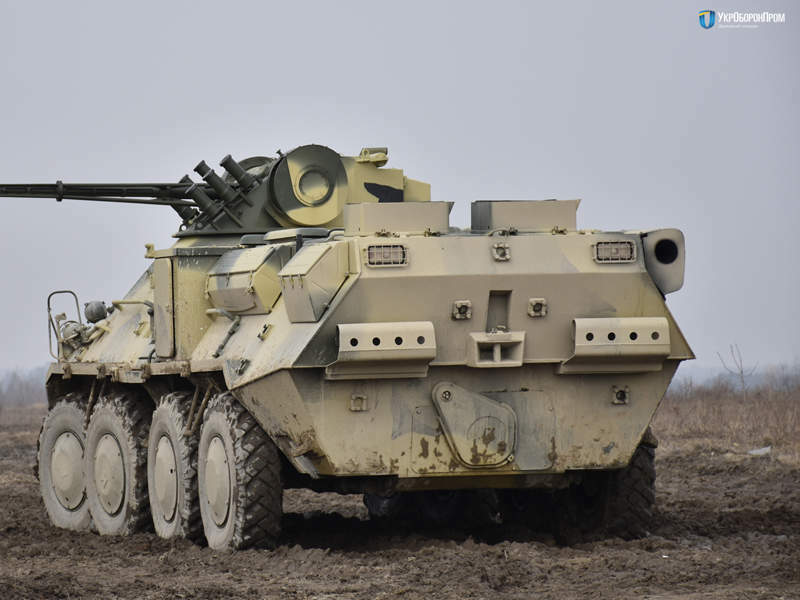 The vehicle is an upgraded variant of BTR-3 APC and is primarily intended for use by the Ukrainian Armed Forces, National Guard and other government agencies. It is able to transport troops to the battlefield and provide fire support during the combat. The APC originally entered service with the Ukraine Army in November 2015. It was also displayed to the general public at the Arms and Security defence exhibition in October 2017. Kyiv Armored Plant delivered a total of 50 BTR-3DA vehicles to the Ukraine Army and National Guard in December 2017. The armoured plant produced more than 100 vehicles for the army and the National Guard in 2017. The plant is equipped with advanced assembly equipment, production tools and welding devices. A batch of the APC units was delivered to the National Guard of Ukraine in June 2017, while the Ukraine Army received five BTR-3DA vehicles from the plant in August 2017. The design of the BTR-3DA APC is based on BTR-80 8×8 armoured personnel carrier. 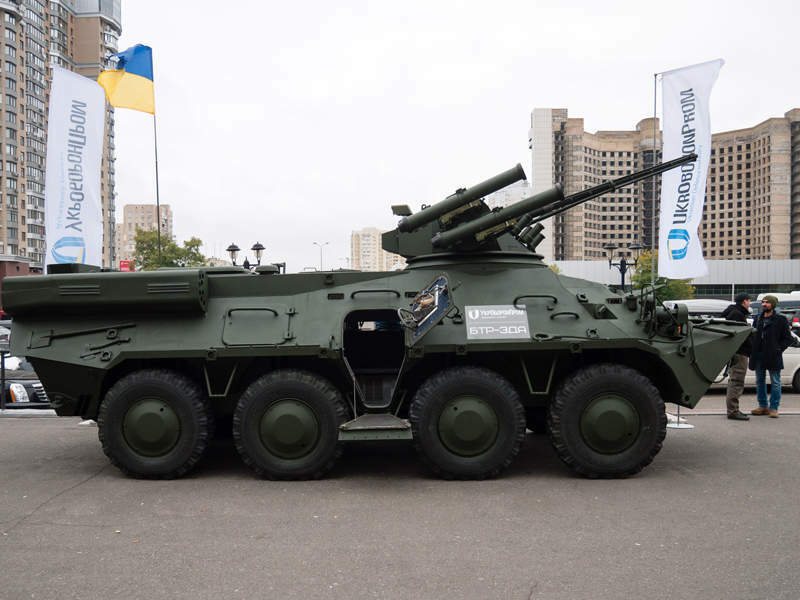 "The vehicle is an upgraded variant of BTR-3 APC and is primarily intended for use by the Ukrainian Armed Forces, National Guard and other government agencies." The hull is made of all-welded steel armour, which offers superior strength to protect troops from shell splinters and small arms fire. Its forward hull has the capacity to accommodate three crew members, including a commander, a gunner and a driver, while the rear of the hull can carry up to six troops. The crew and troops are able to enter and exit the vehicle through a single door on either side of the hull. In addition, two hatch covers located in front of the turret can be used for emergency escape. The vehicle is also equipped with storage facilities to hold an auxiliary power unit and support equipment. 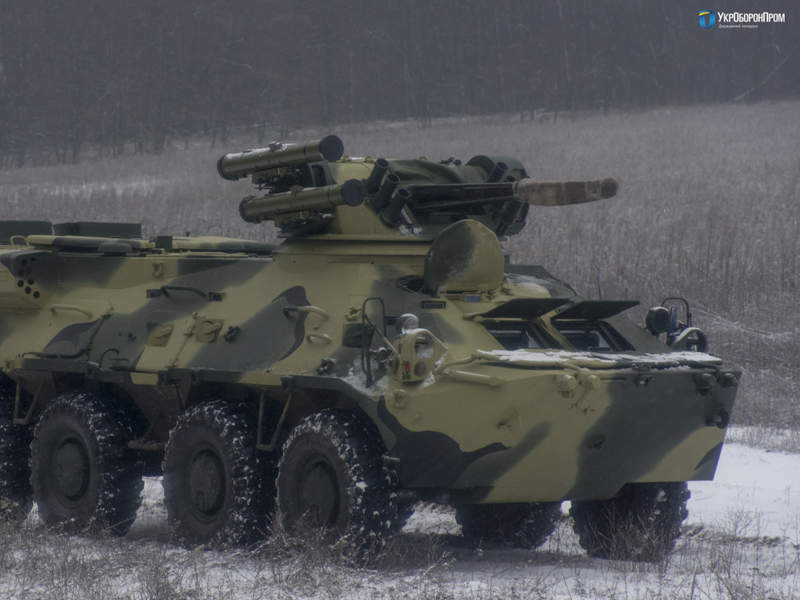 The BTR-3DA APC is armed with a highly sophisticated BM-3M ‘Shturm-M’ weapon system. The weapon system’s combat module includes a ZTM-1 30mm cannon and a weapon pointing system. Its weapon pointing system is also supported by a digital complex, gun stabiliser and a laser rangefinder to strike targets with a high degree of precision. The ZTM-1 cannon has the capability to fire 330 rounds a minute, which is equivalent to firing five cartridges a second. The Shturm-M module further includes a 7.62mm-calibre machine gun, fully automated grenade launcher and smoke grenade dischargers. BTR-3DA is equipped with two facilities to launch anti-tank guided missiles. The missile launcher is capable of engaging enemy targets within the range of 5,000m, while the vehicle itself features an identification system to facilitate the detection of targets at longer ranges. The BTR-3DA APC is powered by a Deutz BF6M 1015CPwater cooled V-type diesel engine with six cylinders, which is coupled to a 3200SP Allison transmission. The vehicle is fitted with a central tire-pressure regulation system for improved mobility across different types of terrain. It has a maximum speed of 104km/h and can attain a cruising range of 600km. Additionally, the vehicle possesses amphibious capabilities and is propelled in water via a single water jet system. Achleitner has built a strong international reputation for protected vehicles. Our expertise is highly regarded among the defence and security industry for military, security or special operations. 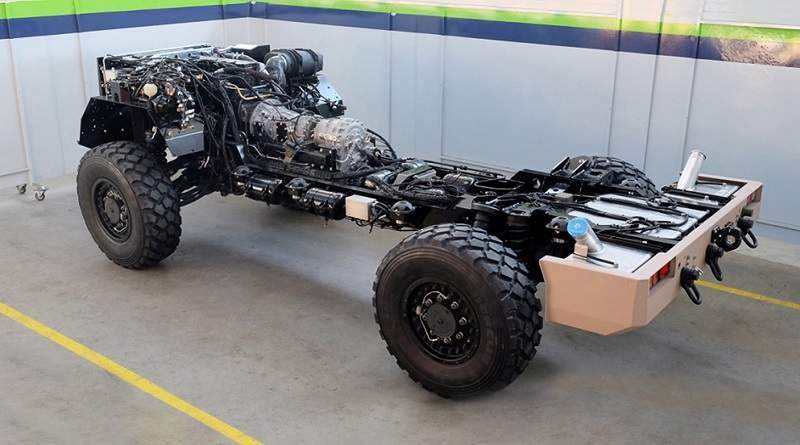 Due to long-time experiences with various developments, Achleitner is able to offer different types of 'Rolling Chassis' for customised purposes. 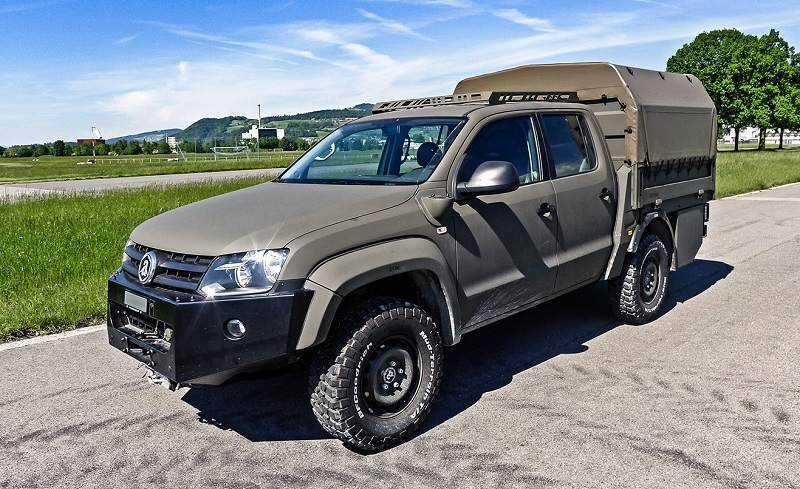 The GESON 4x4 is a rugged, high-mobility, militarised and special-purpose-modified 4WD vehicle with a GVW of up to 3.5t and a troop capacity of up to 2+6 people.